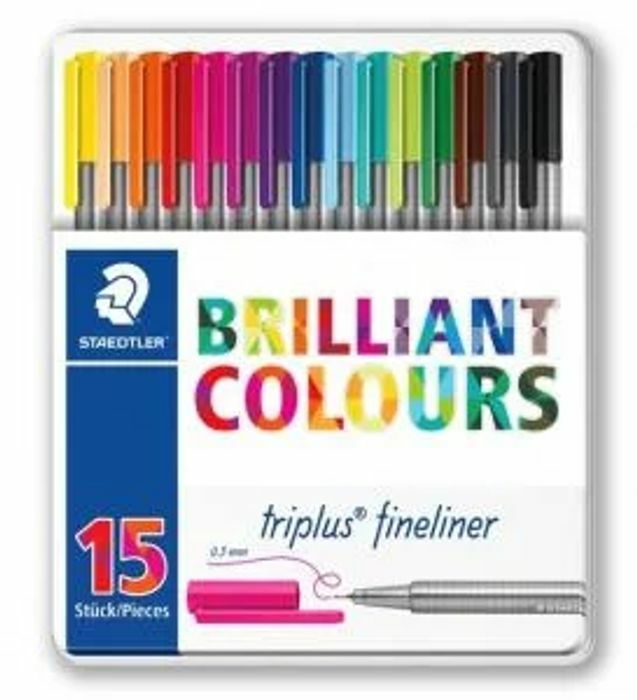 This set from Staedtler contains 15 high quality, vibrant, water based pens. These pens are dry safe, which means that they can be left uncapped for days without drying up. They are sturdy, damage proof and have pressure resistant tips. Each pen has a triangular barrel providing you with smooth and effortless writing. These are the best if you are serious about drawing.